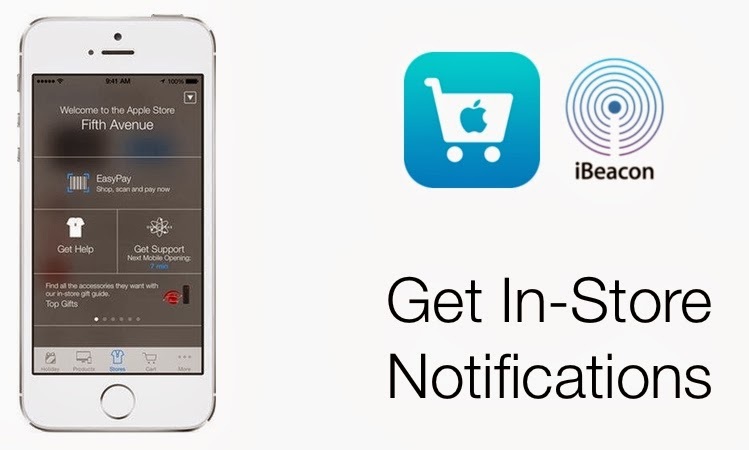 iBeacon is a new indoor location system developed by Apple for iOS devices. An iBeacon is a cheap, self-contained piece of hardware which utilizes Bluetooth Low Energy to interact and exchange information with nearby devices. Each iBeacon may inform the device of it's current location, and can also exchange info with the device. For example, An iBeacon might be able to recognize a shopper's loyalty card number, and serve special offers based on a consumer's buying habits. Additionally, each iBeacon knows it's own location, so a mobile device can locate itself based on which iBeacons are within range. Indoor location allows consumers to find their way around stores more easily by enabling precise indoor location fixes. Retailers can provide immense value to consumers by integration location with inventory systems, making a store's inventory searchable in real time. Additionally, by providing APIs to this location and inventory data, it would be possible to cross reference a consumer's location and shopping needs with current store inventory. Classic use case for indoor location. My vision of this smart shopping experience would entail an application such as Simple Note or Google Docs being able to compare my shopping list and current location to the current inventory of nearby stores and alert me when I am near a store with items I need in stock. If I enter the store, I would be able to follow turn-by-turn directions to any items I that were on my list. To go a step further with this scenario, imagine a service which finds the cheapest price for each item on one's list by searching inventories of nearby stores, and them sorting the items into a shopping list for each store. This would empower the consumer to know which stores to go to, and which items to purchase at each. As someone who has tends to get lost in big box stores, I would greatly appreciate the ability to digitally plan my shopping. iBeacon uses the latest bluetooth standard (Bluetooth Low Energy) to passively communicate with compatible devices, but can only interact with device if the user has installed an iBeacon enabled app.For example, if I install a store's application and go into that store, the iBeacon signals may interact with the applcation to show me special offers. The app may send my personal info to the beacon, but only if I have given permission to do so. In short, iBeacons protect user privacy because they require device-based permissions to show messages or collect user info. The device cannot send or receive any info on the user's behalf without an application explicitly installed and approved for that purpose. By the time Apple brought this new standard to market, they had been working on incorporating iBeacon functionality into their devices for some time. The end result is that the last several generations of iOS devices support iBeacon; not only can they interact with iBeacons, but each device can by itself serve as an iBeacon for other devices. iBeacons will be available as dedicated hardware, but since every Apple device can act as an iBeacon to other iOS devices, existing Apple devices can engage in this exiting new protocol, exchanging information as the two devices pass each other. No other hardware maker can claim this advantage. 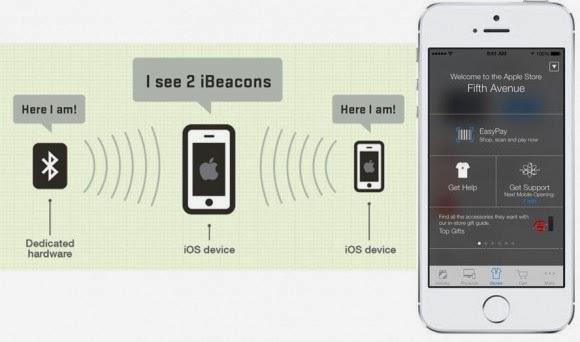 So far Apple has announced the iBeacons are compatible only with certain Bluetooth Low Energy enabled iOS devices, leaving Android users wondering if iBeacon works for them. We do not yet know for sure, but it stands to reason that any Bluetooth Low Energy enabled device should be able to interact with iBeacons. Based on Apple's previous behavior, it stands to reason that non-Apple devices would work with iBeacon, but exclusive features will be available to Apple users. Indoor location is the next frontier in the mobile location space, and Apple has a significant head start. iOS 7 contains advanced location technology to pinpoint location indoors and exchange location-relevant information. iBeacon may have limited compatibility with other devices, but only iOS device users will realize the full benefit of iBeacon at present.